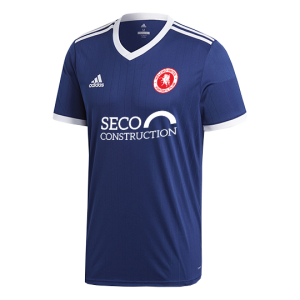 Dark blue Welling United Away shirt with white trim. 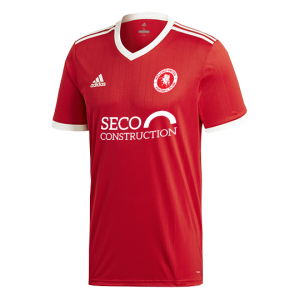 SECO Construction front of shirt sponsor logo and Design and Management Systems logo on reverse. Manufactured by Adidas. Dark blue Welling United Away shorts with white trim. Manufactured by Adidas. 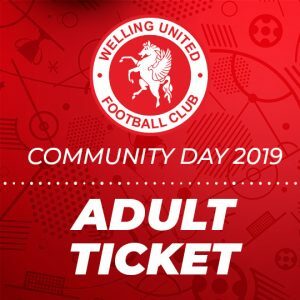 Red Welling United Home shirt with white trim. SECO Construction front of shirt sponsor logo and Design and Management Systems logo on reverse. Manufactured by Adidas. Red Welling United Home shorts with white trim. Manufactured by Adidas. The Wing’s woollen Beanie Hat with bobble and Welling United logo.